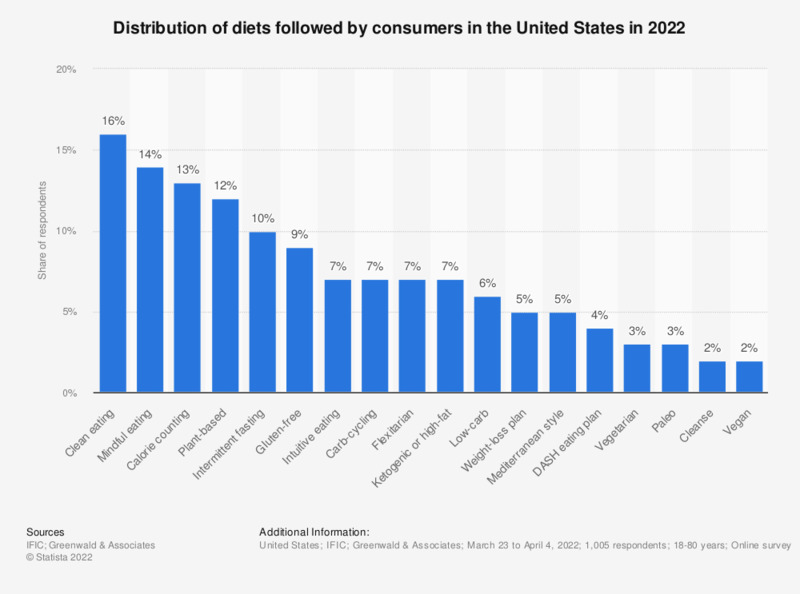 This statistic shows the distribution of diets followed by consumers in the United States in 2018. In 2018, 10 percent of respondents stated that they had tried intermittent fasting in the past year. The survey question was originally stated by the source as, "Have you followed any specific eating pattern or diet at any time in the past year?"